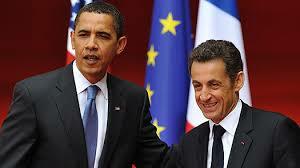 From Talkandpolitcs…….Sarkozy goes to Washington……. The French President rounds of his two-day trip with meeting Obama today Tuesday march 30th at 3:30pm, following a press conference in Rose Garden 4:45 and a private dinner w/Carla Bruni and the Obama’s in the White House at 6:30pm. The trip has several agendas – mending fences with the White House, discussing Nato, upcoming French leadership of G-20, European participation in the Mideast military and strategic operations, and international market and financial reforms and regulations. The passage of health care reform in Congress has restrengthened Obama’s position abroad, and Sarkozy is struggling politically at home and could use a foreign policy win. This from our friend over @ Talkandpolitics.….